Mobility as a Service (MaaS) describes an approach to getting around that takes the emphasis off vehicle ownership and centres instead around technology gateways – typically Apps and websites – that combine public and private transport options and match travel needs with mobility solutions. The movement towards such an approach reflects in part the increasing prevalence of smart phone technology in our transport use, whether to look up train timetables, book tickets, or hire a bike. It is also fuelled by the presence of a variety of innovative new mobility services such as ride share, bike share and carpooling, as well as the expectation that autonomous vehicles will have an increasing role to play. 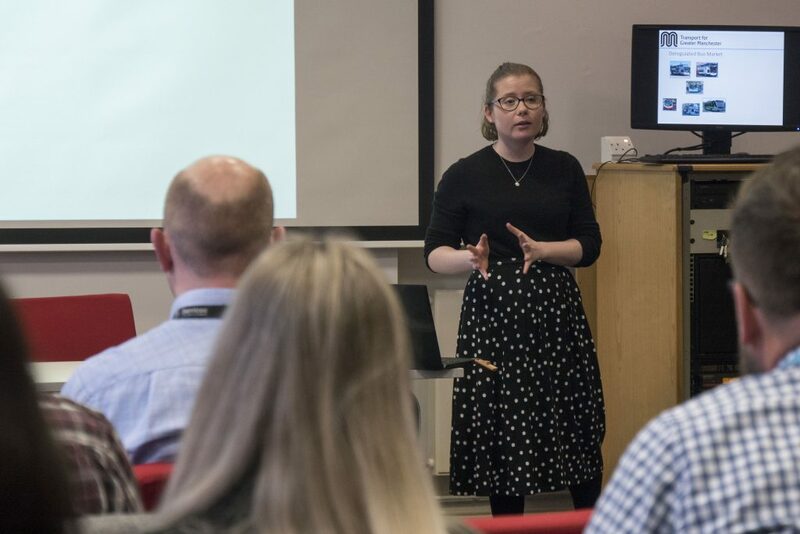 In this seminar, experts shared their knowledge and experience of working with MaaS and participants discussed the advantages and challenges associated with such an approach. 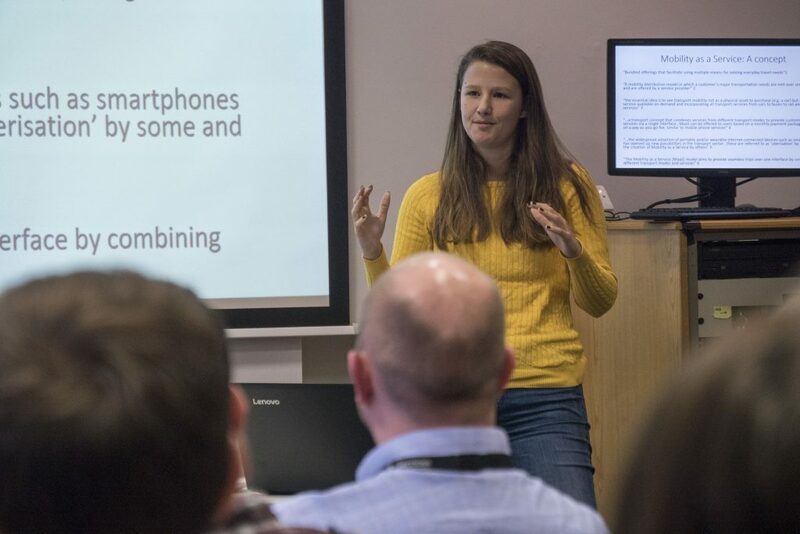 Clare Cornes, from University of Salford and Westfield Technology Group, introduced the concept, explaining that there is a range of possible definitions for this evolving concept. Although still nascent, its key components are the offer of seamless mobility, competitive pricing and the ability to combine traditional modes such that they offer convenience, reliability and integrated ticketing. It connects with a wide range of disciplines, from transport economics, through computer science and security, to travel behaviour and society. There are many challenges, not least the technicalities, legalities and politics of data, the relationship between public bodies and private operators, the implications for wider transport policy, and the potential tension between traditional modes and new innovations. 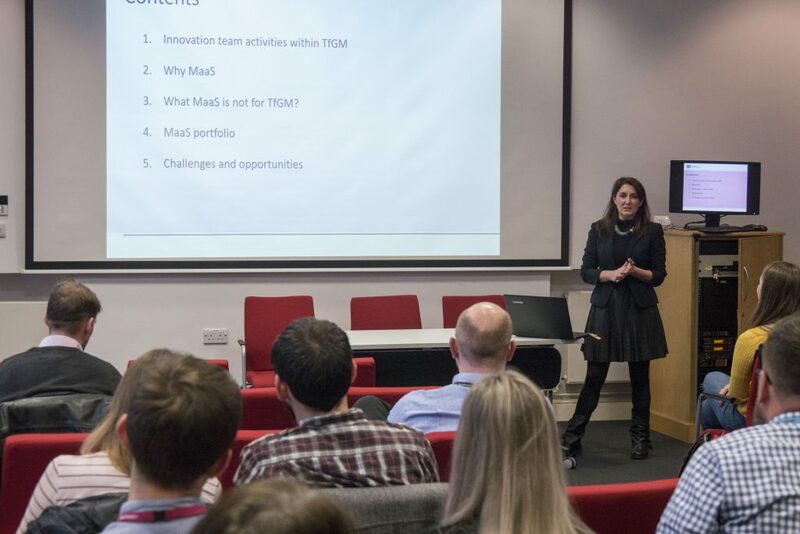 Melissa Giusti, Transport for Greater Manchester, provided an overview of MaaS in Greater Manchester, what it is and what it is not. MaaS as a concept goes beyond merely being an app to use for travel, and supports the goals of the 2040 transport strategy in the region. An overview of projects (Maas4EU, IMOVE and MaaSEvo POC) was given. Research has shown some real positivity among GM residents for the MaaS concept. Projects all link up and share data, and beyond that engage with MaaS related schemes around Europe. Emily Cowling, Transport for Greater Manchester, focused on regulation and pricing. In particular the bus operator market in the region makes implementing MaaS complicated in Greater Manchester. There are two main operators (First and Stagecoach) and 26 other operators in the region. Added to that there are trams, trains, taxis and active travel. Ticket schemes are therefore complicated as a model. There is a massive variance on prices and timetables. Other challenges include public perceptions of prices, competition and creating algorithms for the app. The discussion that followed touched on a range of related topics. To what extent, for example, can convenience be considered a driver for MaaS when transport investment is traditionally driven by economic factors? What other drivers might there be? 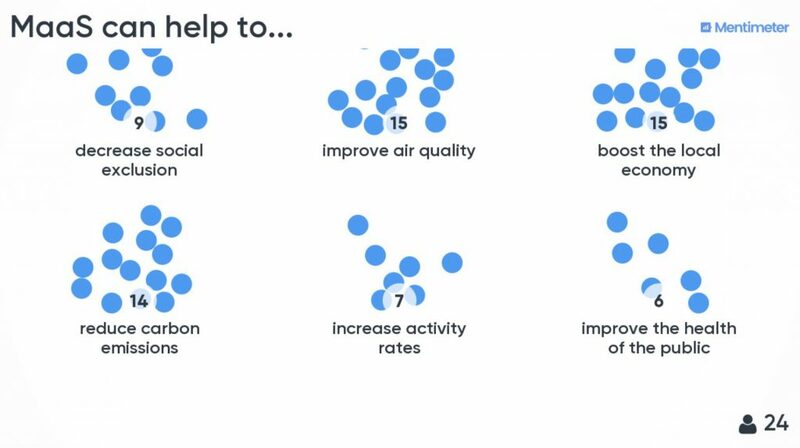 It was suggested for example that something like a road user charging or a clean air zone could be policies that would ‘push’ people towards MaaS approaches. In the light of the complex governance of transport in Greater Manchester, what additional challenges do situations such as bus deregulation place on MaaS? To what extent do mapping Apps, such as Google Maps, already provide the information needed for MaaS, particularly when they already provide links through to some transport providers? Whilst this is to some extent true, the panellists felt that MaaS provided additional opportunities such as being able to ‘nudge’ people towards specific modes at certain times to, for example, reduce congestion. The importance of the user experience was raised, as was the experience of using actual transport: the quality of the online experience would not make up for poor and unreliable transport services. Certain users may find MaaS easier to use than others, whether due to smartphone access or technology literacy. Concessionary fares was raised as a particularly important issue: this is already complex, with difference ticketing offers between services and geographical areas. When considering the likely prevalence of MaaS in 5 years, opinions differed. On the one hand, even countries with highly integrated public transport systems have struggled to fully embrace MaaS approaches and 5 years is not a long time in transport planning and behavioural changes. On the other, transport services that are mediated by online platforms and mobile Apps are becoming increasingly popular and we would expect this trend to continue. When thinking about the potential advantages of MaaS, there was some consensus around advantages to the economy, to climate change mitigation, and improving air quality. These centred around its ability to make transport systems run more efficiently. Participants appeared less convinced about the ability of MaaS to improve health and increase activity rates. There was also some agreement that a widely implemented MaaS network might be able to decrease social exclusion, but it would need to be all encompassing. When considering the challenges in implementing MaaS, there was agreement that getting buy-in from transport operators would be most prominent, but also potentially the most challenging, which would be redesigning transactional systems that have been in operation for several decades. 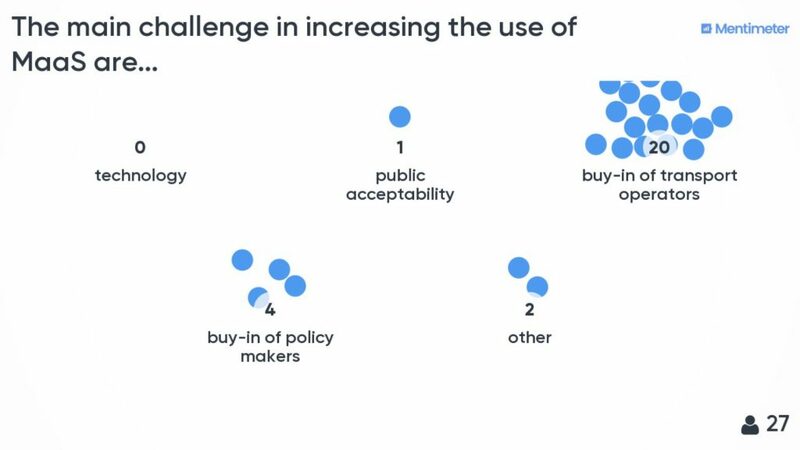 Although public acceptability scored very low, it was agreed that significant uptake of MaaS is actually needed by the public in order to encourage other factors, such as buy-in of transport operators. Without the demand, little action might be taken otherwise.